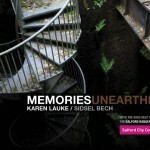 Memories Unearthed is a sonic exploration of the Wet Earth Colliery situated in Clifton Country Park in Salford. 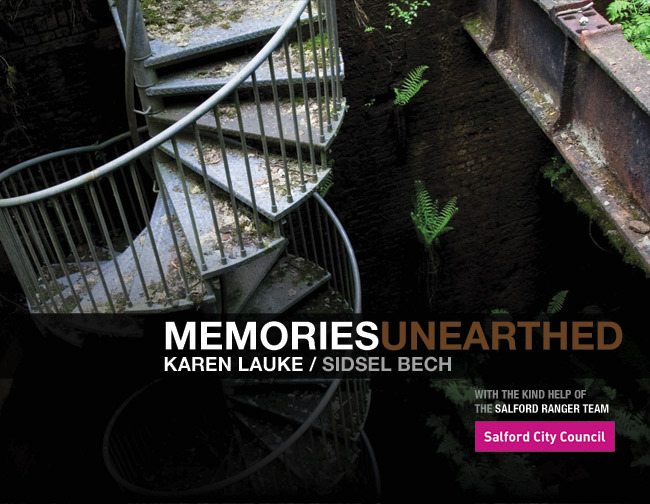 The installation and live multi-channel performance is part of a practice-based research project that has grown out of Karen's ongoing experimentation with environmental recordings and their association with space and location. In revisiting this project – which was previously staged in a much smaller setting during the Dirt and Dreams festival last year – Karen collaborated with theatrical designer and scenographer Sidsel Bech. A separate ambient mix, without the audio interviews, is also available. Karen's research is focused on the relationship between sound and visualisation, text and space, and her work has been included at festivals and performance events nationally and internationally. Over the past year, Karen has performed work in New York on a live diffusion system, presented work in Munich at the World Congress and won a joint award at the World Stage Design Exhibition in Korea for her sound design work. Sidsel has worked extensively in Europe and America and is the artistic director of the visual theatre company Behaviourlab, having been artist in residence at Lottolab, a science laboratory at University College London. Her research is focused on the changing nature of theatrical narratives and how it affects the role of the designer in contemporary theatrical practices.